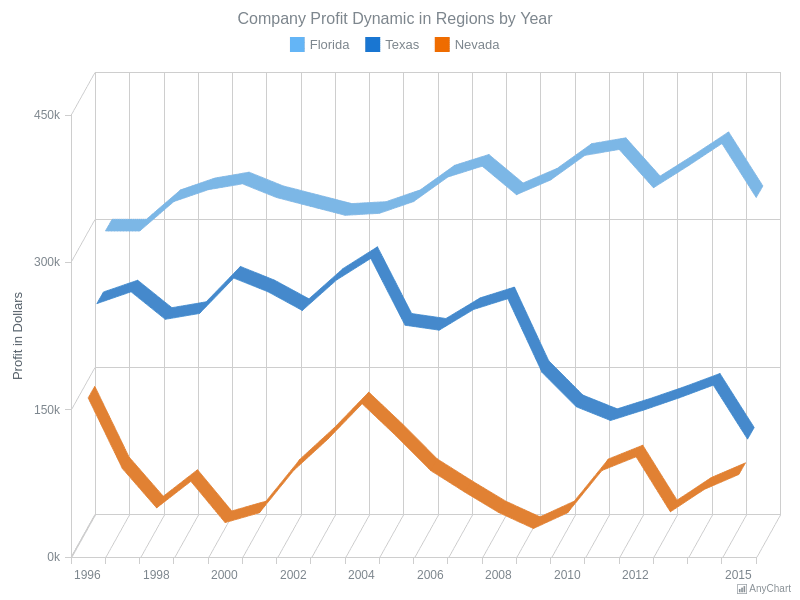 3D Line ChartMulti-series 3D Line Chart example. 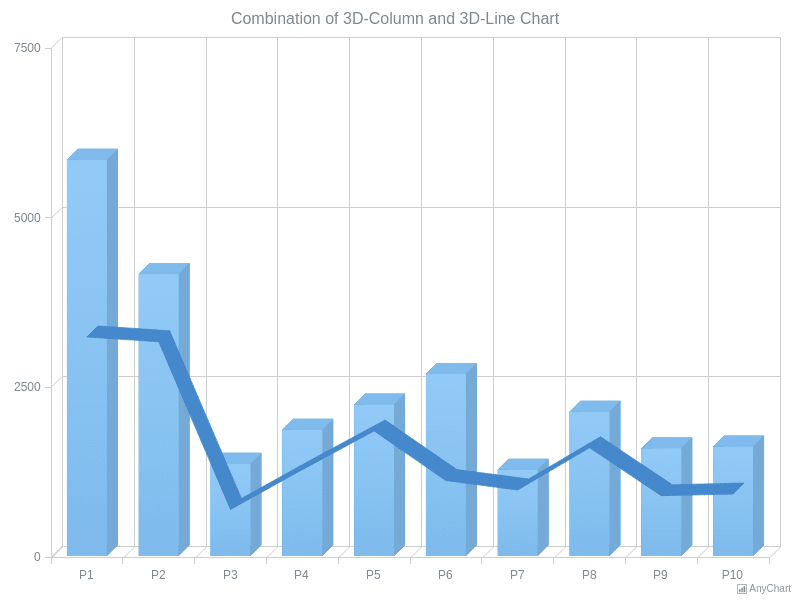 Combination of 3D-Line and 3D-Column Chart3D Line and 3D Column Chart combination example. 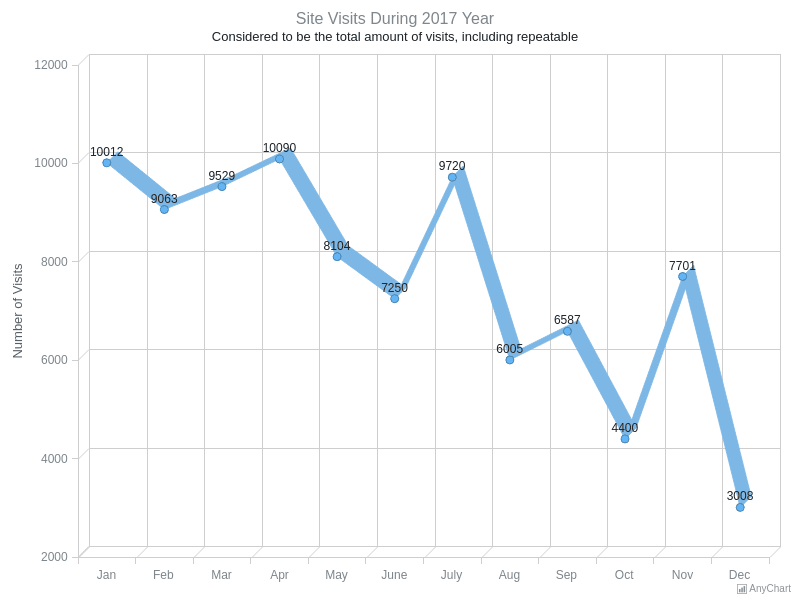 Single-Series 3D Line ChartSingle Series 3D Line Chart example visualizing the dynamics of visits to a website during a period.